Ballycannon Lodge has so much to offer, right on it’s doorstep. The picturesque Adare village of Adare is just minutes away with Limerick City also just a short drive away. Our central location means that Irish landmarks such as the Lakes of Killarney, Ring of Kerry, Dingle Peninsula, Blasket Islands, Blarney Stone, Cliffs of Moher and the Burren are all within easy travelling distance. Here’s some of our favourite things to See and Do close to Ballycannon Lodge. 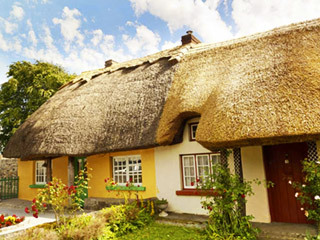 Adare is widely regarded as being Ireland’s prettiest village. Steeped in history dating back to 1200ad the mix of centuries is blended into everyday life with some of the thatched cottages home to arts and crafts shops. The village features beautiful stone buildings, medieval monasteries and a tranquil park. It also has a wide range of great bars, cafe’s and restaurants. For more visit adarevillage.com. 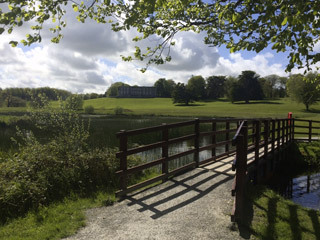 Curraghchase House and Woodland estate is open as a State forest park and makes an ideal place to visit for a family picnic and enjoy the extensive walks throughout the parkland. The house (which is a now a shell having been destroyed by fire) and grounds, were originally the home of poet Aubrey de Vere. To learn more visit the Coillte website. 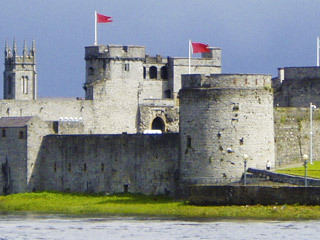 Just 20 minutes drive from Ballycannon Lodge Limerick City includes the medieval-era St. Mary’s Cathedral and St. John’s square, beautiful Georgian townhouses and13th-century King John’s Castle which keeps watch over the Shannon. The city is also full of great shops, cafes, restaurant and pubs. For more see Limerick.ie/visiting. Fancy a flutter? 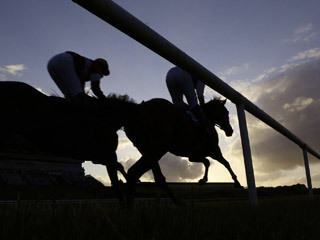 A day out at the races is just a short drive away at Limerick racecourse near the village of Patrickswell. Comprising 400 acres of prime greenbelt farmland in a beautiful panoramic setting, Limerick Racecourse has all the ingredients for a great day out. For more visit limerickraces.ie. 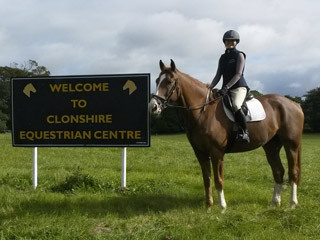 Clonsshire Equestrian Centre is just minutes from Ballycannon Lodge and set in 120 acres of private parkland. The centre provides excellent facilities for beginners and advanced riders. Visit and enjoy this historic estate where individual itineraries can be provided in Dressage, Showjumping and a full cross country course including banks and Irish ditches. For more visit clonshire.com. 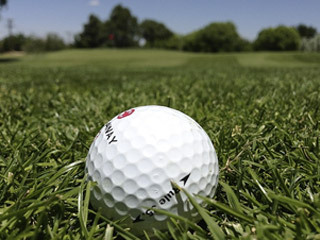 Ballycannon Lodge is surrounded by a number of great parkland golf courses all within easy driving distance. These include Adare Manor Golf Club, Newcastle West Golf Club, Charleville Golf Club and a number of clubs in Limerick City making Ballycannon Lodge the ideal base for your golfing endeavours! Knockfierna which translates in English to “Hill of the Fairies” is located a short drive south west of Adare just outside the village of Ballingarry. 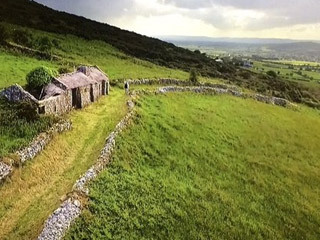 It makes for a beautiful hike passing the ruins of famine cottage en route to the top of the hill which offers panoramic views of the Golden Vale and Shannon Estuary from the top. For more see here. The Ballyhoura Mountains are a hidden gem straddling the Limerick and Cork border. 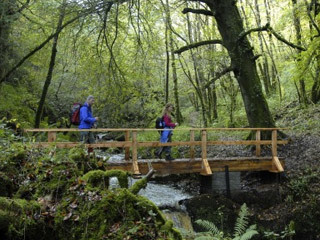 The beautiful landscape features a number of great hiking trails as well as Ireland’s leading mountain bike park. To learn more visit visitballyhoura.com. 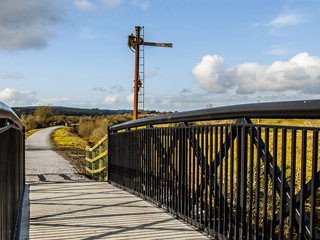 The Great Southern Trail (GST) is a unique 85km stretch of countryside in West Limerick and North Kerry. It is the route taken by the old Limerick – Tralee railway line which closed in 1975/1977. Today the 40km trail has been developed for walking, hiking and cycling. For more visit: southerntrail.net. 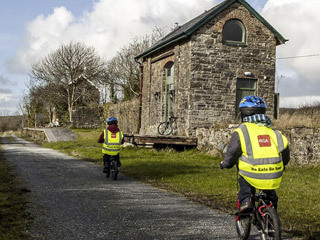 Bike Hire is available for anyone wishing to cycle the picturesque and peaceful Great Southern Trail which begins in the grounds of the Irish Palatine Museum just 5 minutes drive from Ballycannon Lodge. Whether you want to cycle 4km or 40km Pedal Pursuits has you covered and can advise on routes and itineraries. 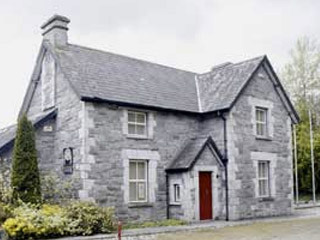 The Irish Palatine Heritage Centre is located just 5 minutes drive from Ballycannon Lodge and houses an exhibition that details the Irish Palatine experience ranging from their German origin, to their colonisation and settlement in Ireland, and their subsequent scattering all over the English speaking world. Visit their website to learn more. The Foynes Flying Boat Museum is housed in the original terminal building and recalls that nostalgic era when Foynes became the centre of the aviation world from 1939 to 1945. 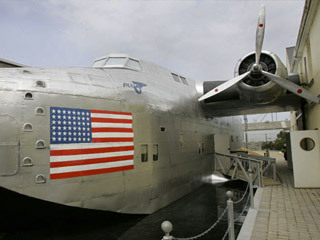 It’s the only aviation museum in Ireland and the only dedicated flying boat museum in the world. For more visit flyingboatmuseum.com.